Why are Datacentres a Crucial Part of the Businesses? If you think that the Big Leaders and Billionaires with their propagandas are ruling and governing the world, then you’re really travelling to the wrong path. Money and Power are not the prime factors nowadays. Ever heard about a Datacentre? Yep, these are the real heroes who are storing the whole existence of this world. From storing all the banking, finance, and accounting details to the latest episode of a Web Series on Netflix, Datacentre is responsible for everything. So, let’s shed a little light on what a Datacentre is, and why they are important to us. In the simple terms, Data centres are nothing but a place where hundreds of servers are placed and managed to operate all the data storing and networking processes. These are the locations where computing and networking are encrypted and furnished for storing, collecting, processing, accessing, and distributing large chunks of data. They've been backing up the world since the advent of computers and would keep storing all data for centuries. Initially, they were as big as a behemoth and consumed space as big as a room per computer. Eventually, as we're advancing with technology and innovation of reducing the size and cost of the gadgets, the need for the data centres is also rising exponentially. Additionally, this infographic demonstrates just what this will look like. All the data centres are interconnected that are further divided into various sub-network so that every person can access them, and the information stored on them, remotely. They are mainly operated and managed by large enterprises, companies or the government to store all the data. Their size varies according to their usage and can be a building or a group of buildings with hundreds of powerful servers running 24/7 without any hassle. The data centre market is mostly affected by the exponential growth of data, and also the recognition there is enormous value in that data. The marketing analysis of the firm IDC says that by the end of the year 2020, the world would exchange 44 trillion gigs of data. It doesn't matter if you're working a law firm, running a business, or a farmer, data centres are importance to every being, actively or passively. Most of the companies rely on the accurate recording, data updating and the traction of their data on even a second-to-second basis, helping them to survive in today's economy. Employees consume this data to complete their accounting reports, estimating scales and ultimately improving customer service. 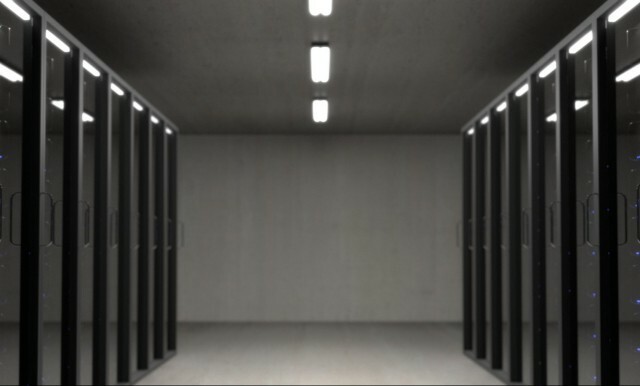 Large organisations and Research Institutes gather customer and partner data and store this crucial information on the data centres, which they can later analyse, access, and drive various strategic decisions. On the other hand, ordinary consumers and users like us, are to connected to these data centres as we store our data on them in the form of finance, personal information, etc. The first and the far most important thing is the availability of power. Most of developing countries are not yet good with deploy a constant source of energy. That's why data centres play a crucial role for uninterrupted data access as they are continuously encapsulated with various power sources with power backup as their priority. The current scenario of the business industry is that every enterprise once and for all conducts their business on the mobile basis, and that's where the connectivity of data centres leads you. It profoundly impacts on the performance, reliability and the security of the companies, whether large or small. They mostly cater information and distributes it to various locations in the form of assets. On average, a data centre lasts only for 15 – 20 years at maximum. So, when you're thinking about all the significant changes in IT, you can assume how hard it would summarise all the requirements. Here is an infographic providing a visual representation of the number of data centres around the world. How Datacentres Work and Operate? Just like two computers connect each other via a local network or LAN, the internet servers send the information to all the different web browsers. The data stored on a server is then divided into packets and is transmitted using routers over a wired or wireless connection. The data centres are the places with these information providers. A massive scale of having hundreds of performance oriented servers deploying GBs of data that is being requested to millions of web based requests worldwide. Moreover, the data and security encryption provided by the data centre companies assures you the full protection of your data from corruption loss, transmission errors, and hacking. It doesn't let your data to be remained vulnerable for even a milli-second of time. Of course, that's what they charge the companies for. Like any computer data, server data is vulnerable to corruption, transmission errors, loss and hacking. Most data centres implement a large security funnel to protect your information from physical to digital threats. The buildings are fully secured with security staff, more appropriately like a prison. The data is backed up on multiple locations and files are saved to they can be accessed in the cases of immediate access. The servers are also entirely wiped or destroyed in some cases when they've reached their limit. Do share your thoughts if you weren’t aware of any of such data, and please share if you’ve any other important factoid to share with us on the following information related to the Datacentres. Cheers!